On a day when you look around your house and find yourself surrounded by the things you own, your wardrobe overflowing with clothes you haven’t worn in years or a never-ending mountain of papers piling up on your desk, pick up The Life-Changing Magic of Tidying Up and get rid of the excess. Forever. 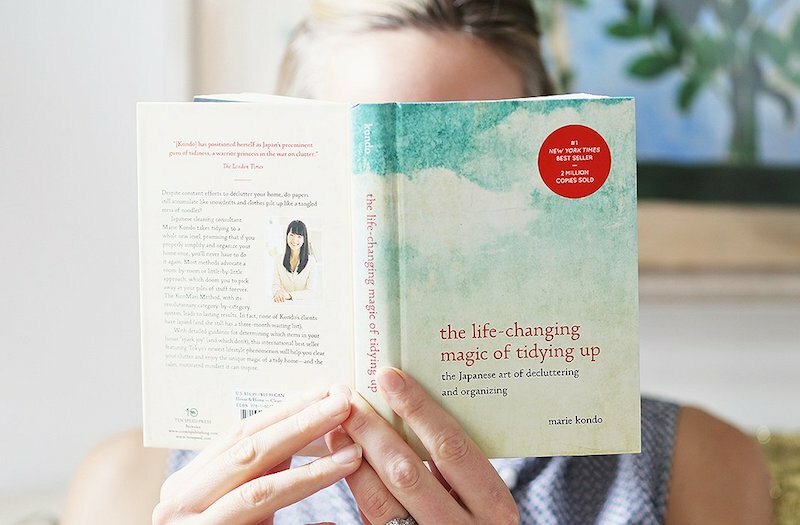 Marie Kondo has made a career out of tidying up and her book made decluttering a trend because of her promise that the KonMari Method can help you banish clutter forever. 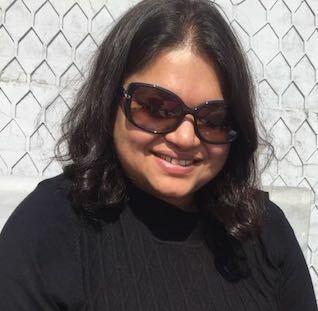 Her method takes into account all the common objections to decluttering and gives you a system which is designed to ‘spark joy’ and do away with feelings of overwhelm. Have you ever tidied madly, only to find that all too soon your home or workspace is cluttered again? This is a common problem when it comes to decluttering. After spending hours or days doing it, you find that your house soon looks as if you’d never tidied it up. Kondo claims that she has no repeat clients because everyone who has followed her system has stayed neat. For her, one of the worst mistakes you can make is to tidy a little every day as that is exactly why you never finish tidying up. Instead, complete the process in one go so you can dramatically change your mindset. It is not your room or your belongings but your way of thinking which causes clutter. When you put your house in order, you put your affairs and your past in order, too. As a result, you can see quite clearly what you need in life and what you don’t, what you should and shouldn’t do. Kondo’s system is simple, and her promise enticing- the KonMari Method will not only help you put your house in order but will also positively affect other parts of your life-including work and family. “A dramatic reorganization of the home causes correspondingly dramatic changes in your lifestyle and perspective. It is life-transforming.” Kondo’s clients have reported changes, like losing weight, strengthening good relationships and ending toxic ones, greater financial success, and a general sense of well-being and happiness. When we tidy each place separately, we fail to see that we’re repeating the same work in many locations and become locked into a vicious circle of tidying. To avoid this, I recommend tidying by category. As Kondo explains, our usual approach of tackling one room at a time is flawed because very often belongings of the same category are placed in different rooms. For example, you may have books in your living room and bedroom. Or, you may have clothes spread across different wardrobes in different rooms. Unless you see everything you own, it is difficult for you to make decisions on what you want to keep and what you want to discard. There are only two tasks involved- discarding and deciding where to keep things… Do not even think of putting your things away until you have finished the process of discarding. Typically, we discard and put back things simultaneously. Kondo cautions against doing this and instead suggests that you concentrate on discarding first, else you risk getting overwhelmed and the work of discarding stops. Once, you’ve finished discarding, find a place for everything you’ve decided to keep. While she uses the term ‘discard’, it is important to note that her approach is less about getting rid of things and more about choosing what to keep. Choose those things that spark joy when you touch them. Always ask yourself if this item makes you happy? Does it spark joy? It is crucial not only to tidy by category but also to follow the correct order, which is clothes, books, papers, miscellany, and finally, sentimental items. 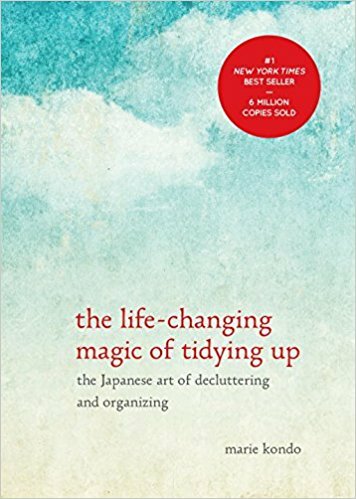 Kondo recommends a very specific order for conducting the process of tidying up. According to her, it is always easiest to begin with clothes and deal with sentimental items like photos and mementos last. The idea is that the momentum of tidying up will help you deal with the stress of getting rid of things you consider an important part of who you are. Plus, you also get to hone your decision-making skill. The essence of effective storage is this: designate a spot for every last thing you own. If you ignore this basic principle and start experimenting with the vast range of storage ideas being promoted, you will be sorry. Those ‘storage solutions’ are really just a means within which to bury possessions that spark no joy. Buying the latest storage container is not the key to being organized. It doesn’t matter how many storage bins you buy if you have too much stuff. According to Kondo, storage bins are a cop out because you feel like you’ve tidied up when all you’ve done is moved stuff around and then forgotten them again. Tidying up your books is the best way to increase your sensitivity to joy and your ability to take action. For book-lovers, Kondo’s method for organising books might seem a little harsh. After all, she recommends getting rid of books which have been read halfway or ones you haven’t read at all. Keep the books you love or intend to read and discard the rest since you’ve already ‘experienced’ and ‘internalised’ them. According to her, doing this will create space for new information and improve the quality of information you receive. As for the books you keep, stand them up instead of stacking them in a pile. By handling each sentimental item and deciding what to discard, you process your past. If you just stow these things away in a drawer or cardboard box, before you realize it, your past will become a weight that holds you back and keeps you from living in the here and now. To put your things in order means to put your past in order, too. It’s like resetting your life and settling your accounts so you can take the next step forward. You have to let go of the person who you were to become the person you are meant to be. 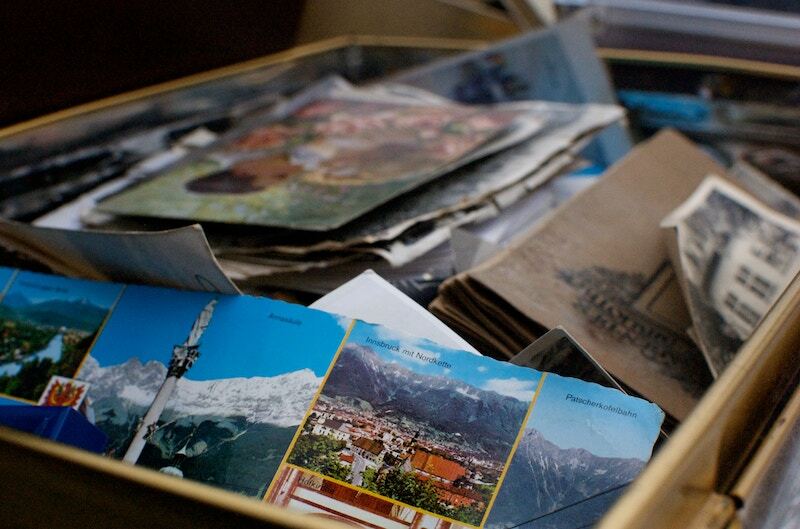 Kondo follows a similar approach by suggesting that you have to let go of the items which remind you of your old life. For example, love letters, however beautiful they may be, from a bygone relationship need to be discarded to make way for a new relationship without the baggage of the old one. Photos, souvenirs, memorabilia, gifts and other items which remind you of the past can prevent you from moving on and should be let go off unless they inspire joy. The KonMari method is different from the advice usually handed out by lifestyle magazines and blogs. Forget everything you know or have read about decluttering and follow this new approach which entails abiding by a few simple rules. 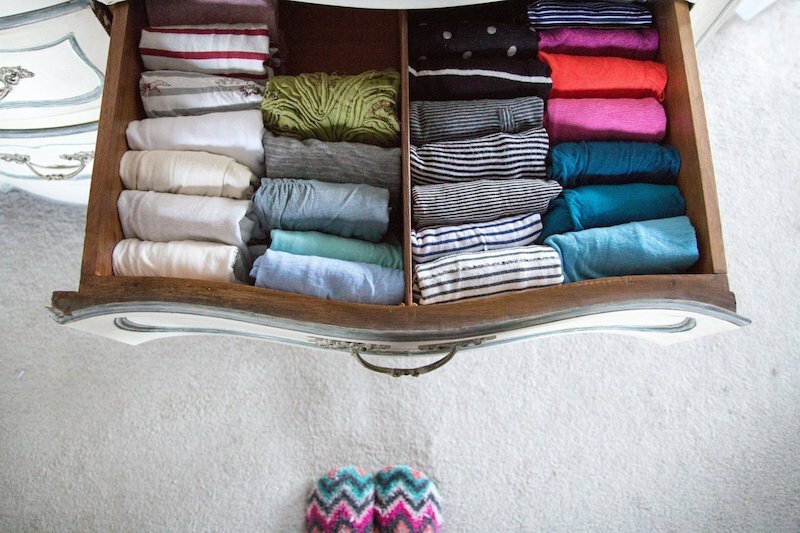 If Marie Kondo is to be believed, you only need to tidy up once. 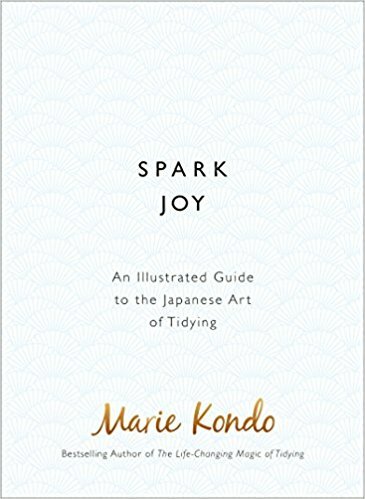 Marie Kondo has also written Spark Joy, an illustrated guide to the KonMari method, which contains step-by-step instructions on how to store your items and serves as an indispensable companion to The Life-Changing Magic of Tidying Up. For those of you who enjoy graphic novels, take a look at the manga based on her best-selling work. Have you ever tried tidying up only to find that you are back to square one soon after? Do you think this approach would work for you? 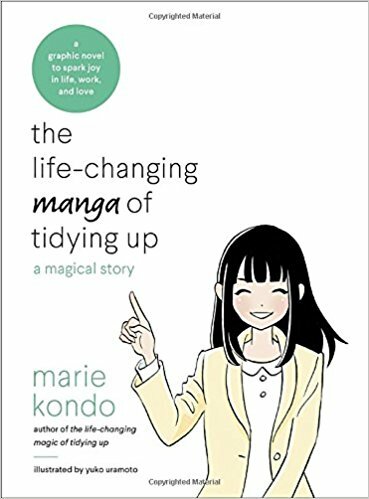 Have you tried KonMari? Share your experience with us.